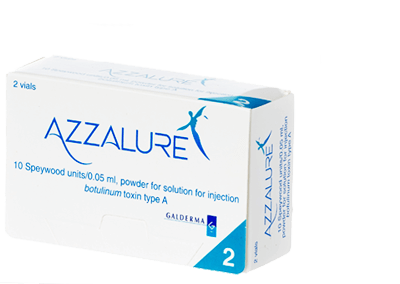 Azzalure is a botulinum toxin type-A (abobotulinumtoxinA) specifically designed for use in aesthetic indications. 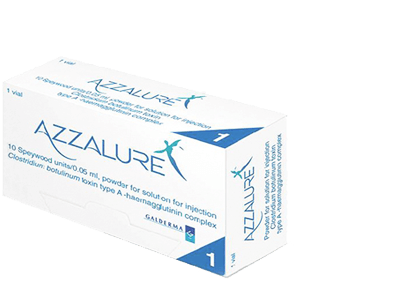 Azzalure is indicated for the treatment of temporary improvement in the appearance of moderate to severe glabellar lines and vertical frown lines between the eyebrows. Azzalure is injected into the muscle above and between the eyebrows to temporarily paralyse and relax these muscles. Azzalure contains Human Albumin and Lactose Monohydrate.